Professor Puzzle counter display unit filled with 24 wire puzzles. 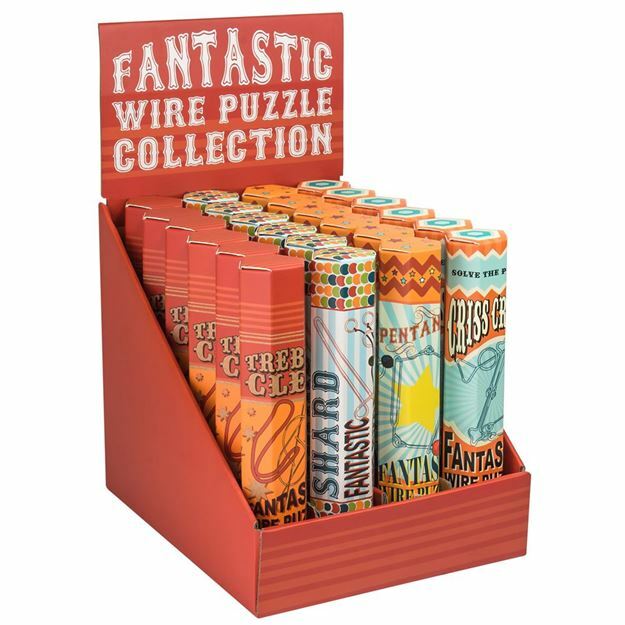 4 designs to collect - the Shard, Criss Cross, Treble Clef and Pentangle puzzles are all different but have one key element in common – only one part has to be removed from each puzzle shape to solve the mystery. Distributed in New Zealand by Holdson. Sold individualy. Each individual item dimensions: 200mm x 42mm.